Memorable Wedding: Looking For the Perfect Altar Decorations? Looking For the Perfect Altar Decorations? The altar is the stage for your wedding. 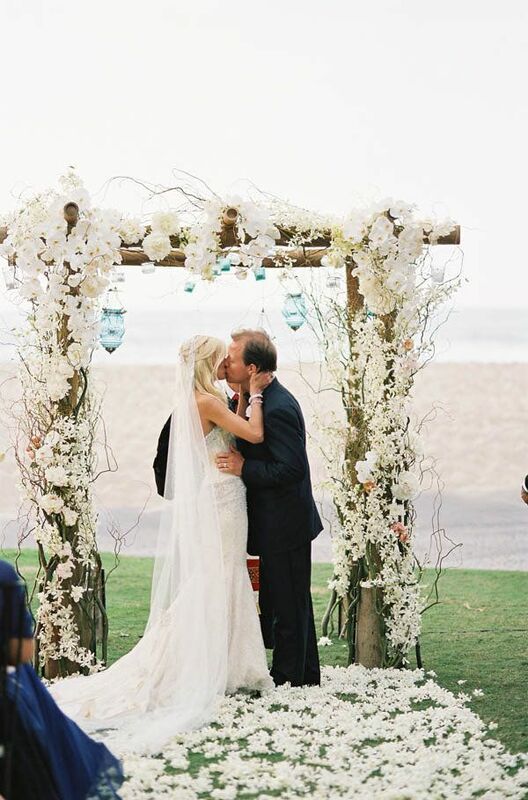 It is the first place your guests will see you and your groom, and it is the setting where two become one. What is a stage without the proper scenery? Depending on where you are getting married, there may be certain restrictions on the decorations, so be sure to check before you go ahead and start planning. 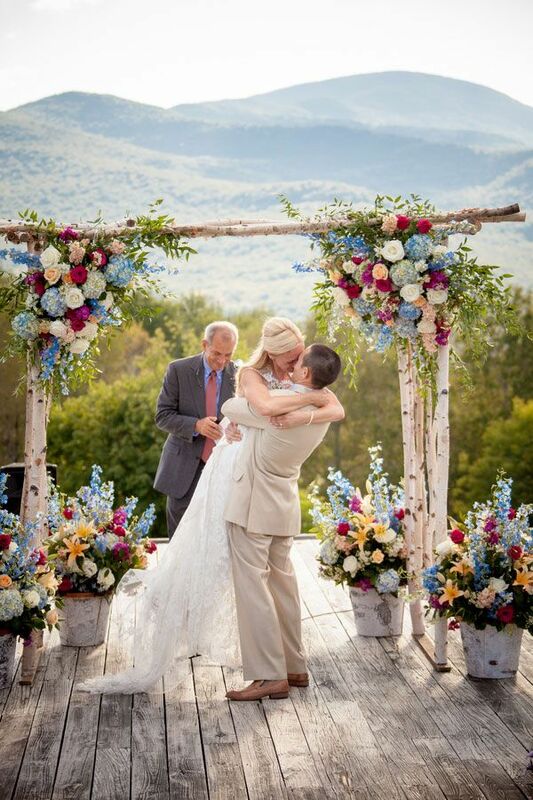 Of course, the easiest decoration is to have flower arrangements made than can be transported to your reception site. But rather than having arrangements that match all the other centerpieces, maybe splurge a little here with a different flower that you absolutely love, but wouldn't fit into your other florals. These can be transferred to the head table at the reception. If you are not having a religious ceremony, don't ignore certain religious customs. 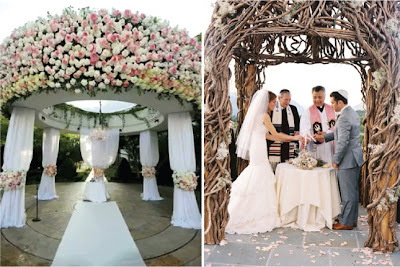 Especially if you will be outside, talk with your florist about creating a Chuppah, which is basically a tent of flowers under which you and your groom will stand. It is a beautiful way to frame the event. This doesn't need to be made of flowers; you can chose to have something made of fabric, or gather together natural materials. If you have chosen a specific theme for your wedding, your altar is a great place to introduce this. A scattering of different sized pumpkins or bales of hay with buckets of apples resting on them for a fall wedding would be perfect. If you are looking to start the romance early, you can include tall candelabras on the altar or different sized pillar candle on mirrored bases. If the stage is already set, as in some cases the altar is already beautiful as it is. You can leave it be which is certainly cost effective, or just keep your decorations simple, clean, and traditional. It is your stage to design.